Finally out! The CEO of a newly launched Studio #New Sound Records" Popularly known by his famous name "Dj Don Cee" has now finally released his first cook out of his new recording studio New Sound Records. Dj don cee is one of the most rated Deck Jack in Nigeria and to improve his skills and to show how much he loves entertainment he had to open a music studio with quality equipments and in a very nice environment where every young and famous artists can come and feel free and cook good and fresh hits. 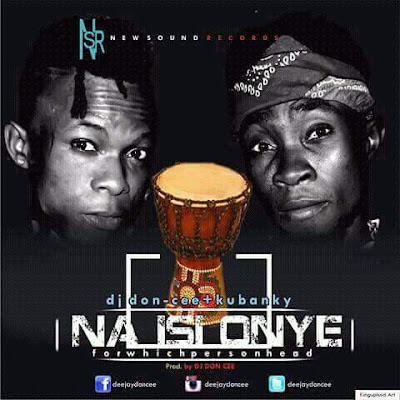 Here is "Na isi onye" by Dj Don Cee Featuring. Kubanky The High tension crooner. Prod by himself.